Nature Care New Zealand Co. Ltd was founded in 1994 with the purpose of providing high quality products to promote good health and well-being. The ingredients in our products are sourced from clean, and pure New Zealand. The bees that provide us with our honey, propolis and royal jelly are disease-free and chemical-free. Our Manuka Honey comes from the wild Manuka forests covering acres of mountain terrain that only exist in New Zealand. Our featured product, Propolis Lozenges, was created by the founder of the company - a Chinese Herbalist. The flavour and the nutritional value was perfected after countless trials and errors. 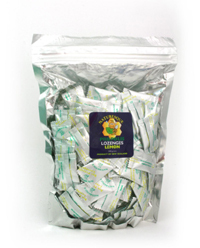 We hope you enjoy our product knowing that each lozenge was made with love and care.